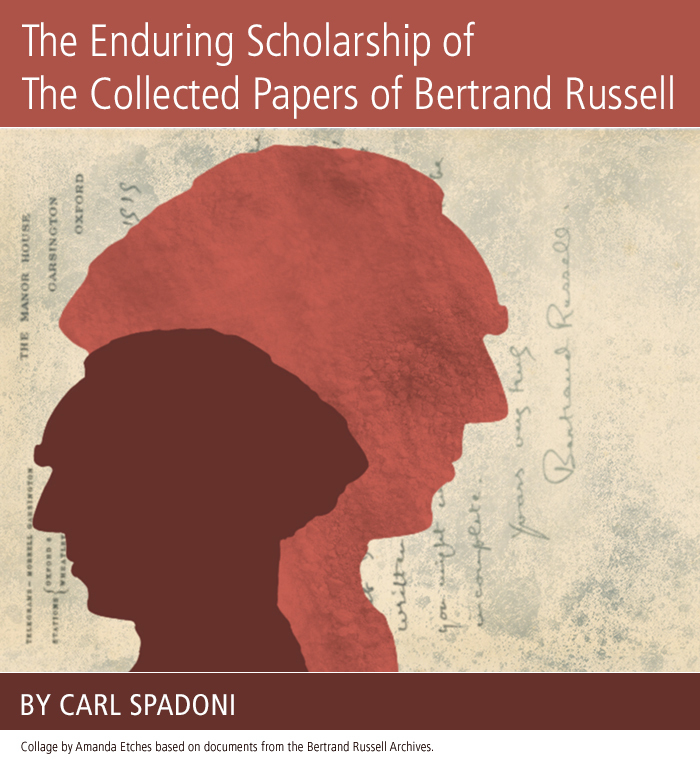 Philosopher, logician, social critic, political activist, and Nobel laureate, Bertrand Russell was the author of some eighty books, 2,500 essays, and 50,000 letters. One of the great public intellectuals of the twentieth century, he had a long life of extraordinary accomplishment. He was also not afraid to speak his mind even when he was involved in unpopular controversy on the world stage. Russell’s archives profoundly reflect Russell himself from his family’s English aristocratic roots in the nineteenth century during the waning years of Lord John Russell’s career as Prime Minister to the turbulent decade of unrest in the 1960s and the Vietnam International War Crimes Tribunal. A version of this article appeared in The Bertrand Russell Society Bulletin, No. 156, Autumn 2017.